** Off-Peak Times are Weekdays before 4PM, and Weekends after 5PM. Off-Peak Memberships allow entrance during Off-Peak times. Off-peak members wishing to climb at Peak times will have to pay a £5 supplement for the day. Our standard day entry free lasts the entire day, with no specified start/end time. If you are climbing more regularly, we recommend you go for a 10 entries or membership option. 10 Entries - You can pay upfront for 10 climbs, known as a punch card. These ten climbs have no use-by date, and give you 10 climbs for the price of 8. They are not effected whether you arrive at peak or off peak times either. 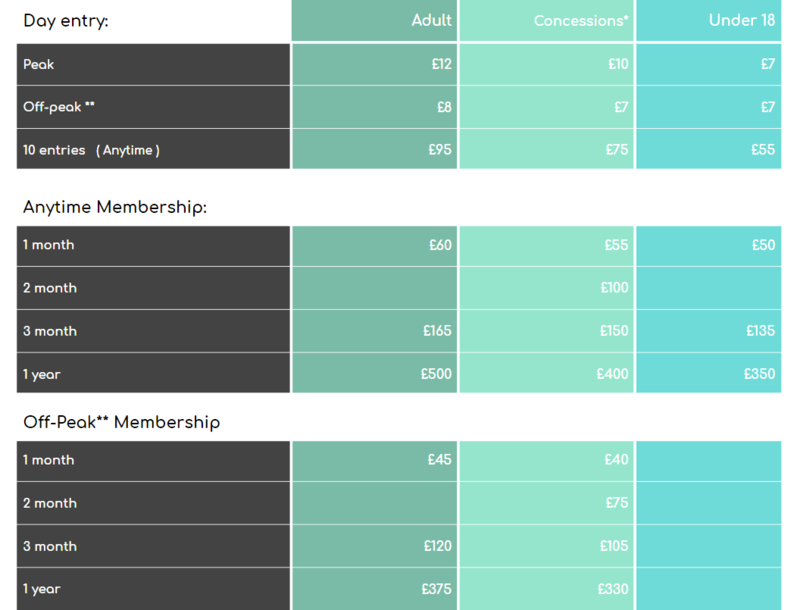 Memberships - Our memberships grant unlimited access to the wall whilst the membership is active, and are available in monthly, tri-monthly or annual variants. Shoe Hire: We have shoe hire for £3 at the centre, or £1 shoe hire for kids. Climbing shoes are required in the centre, so if you do not have your own we kindly ask you hire our shoes. Concessions: Students (full time), over 65s, unemployed.